Cyclone Bolt & Gasket is a leading manufacture and distributor of double end studs, which are threads of equal length and diameter on both ends. Double end studs are used in a wide variety of flange bolting and will have a 2H nut at both ends. 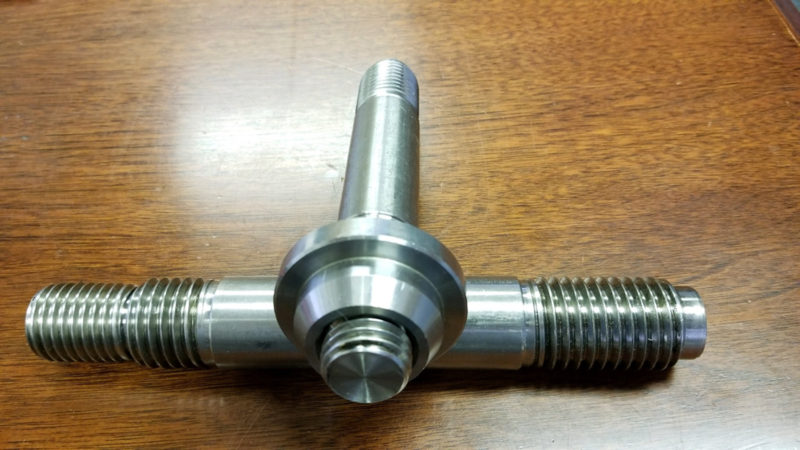 Cyclone Bolt offers double end studs in a variety of materials including stainless steel, carbon steel, and exotic alloy materials. Whenever you are requesting double end studs it is always good to include a drawing of your double end studs. This will ensure that Cyclone Bolt has recorded exactly how you want your customer double end studs to look. Every application for double end studs is different, and we want to make sure our customers are happy with their product. 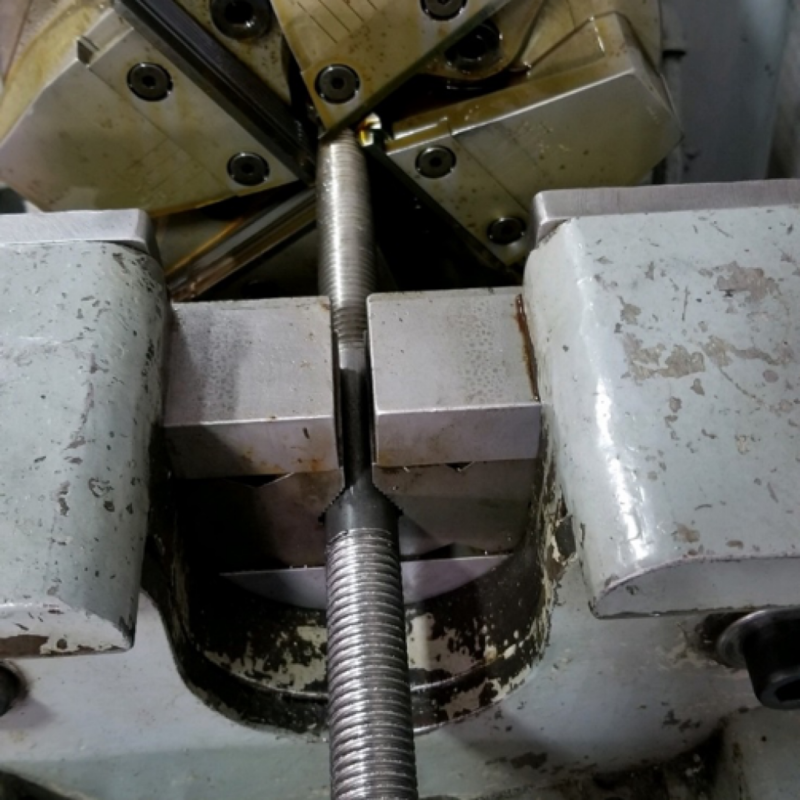 At Cyclone Bolt, we use a threading machine for all of our double end studs called a Landis. The Landis is a benchmark machine in the threading world and it’s able to turn out double end studs very quickly. Our Landis and operator can accommodate double end studs from ½ up to 2-1/2 inch in diameter.